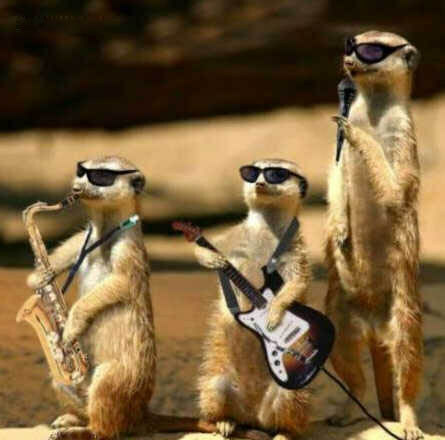 Once upon a time, there was a group of Meerkat brothers who loved music. They lived near a road so they could listen to music in the cars when they passed by. They were sad that they couldn’t listen to music everyday. One day, they saw an advertisement. In it there were three people. One was playing the guitar, one was playing the saxophone, and one was singing. They made instruments, a mic, and sunglasses similar too the ones in the advertisement. TA-DA!! Now they had a band. The band’s name was “Three Small Musicians.” All the other animals loved their songs and they soon became stars. Now they could play and listen to music everyday.